We would like to welcome you to the most modern maternity and gynecological Clinic of Greece. Your wish for high quality medical services in a modern environment is the mission and the commitment for all of us, the 450 renowned obstetricians – gynecologists that have founded REA clinic. Caring and tending for every woman, every future mother and every baby are the main values for all employees of REA. As of today, a big family of expert obstetricians – gynecologists is offering you an outstanding experience of medical services and hospitality. This is the family of REA Maternity Gynecology Clinic. 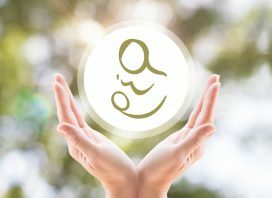 You deserve a unique childbirth experience and we can offer that to you! REA’s medical personnel consists of the most renowned obstetricians – gynecologists, who have made important scientific, professional and social contributions and are devoted to the medical care of today’s women and future mothers. This team is supported by other physicians of different expertise, in order to provide a wide range of maternity and gynecological services and high level of safety for women and their newborn babies. REA has state-of-the-art and high tech medical equipment, which offer fast and accurate results, leading to the correct diagnosis, with shorter hospitalization time. REA offers special units for both women and newborns in need, such as Intensive Care Unit (ICU) and Neonatal Intensive Care Unit I, II, & III (NICU) respectively, with high-tech equipment that provides any medical care required in case of emergency. 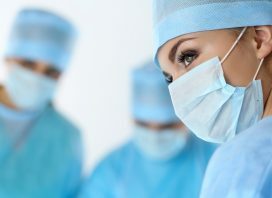 Therefore all medical needs are met efficiently and professionally at REA, avoiding any transfer of the woman or the newborn to other hospitals. All operating rooms are supplied with the most modern equipment, fully digitalized, that allow communication with other medical centers abroad (telemedicine), for verification purposes and/or know-how. There are special rooms for labor and delivery, fully equipped with state-of-the-art technology, which that offer full medical support from the initial phase of labor, up until delivery. There are modern laboratories and diagnostic centers (Radiology, Ultrasound, Osteoporosis, Breast Centre, Pathology-Cytology, Molecular Biology, Hematology, Immuno-biochemistry and Microbiology) equipped with state-of-the-art technology, ensuring accurate results, prompt services, thus putting patients and doctors at ease. • Dedicated breast ultrasound system with elastography capability, using the new method of Shear Wave Elastography by which the ultrasound system is able to assess and reliably estimate tissue stiffness and elasticity. 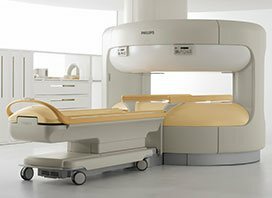 The above equipment is high definition, low or no radiation, fully digitalized for the management, transfer and storage of medical information and imaging of REA, offering safe, exceptional and exclusive services. 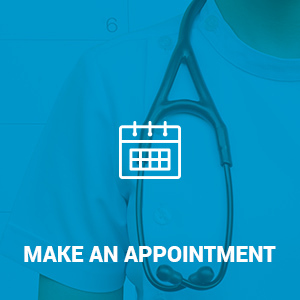 REA’s nursing personnel has specialized knowledge and long term experience in the field. Above all, shows consideration, empathy and love for women. Our nursing personnel is always ready to look after you with all necessary care and immediately respond to your needs and expectations. Rest assure that our midwives will provide you with all the best possible memories from childbirth experience and the first moments of your life with your new baby. They will also provide you with their specialized knowledge on breastfeeding, care and safety for your baby. 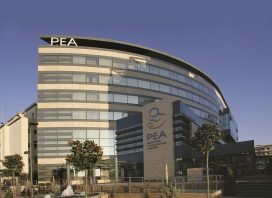 REA has adopted the most modern aspects for the care of women and newborns. All mothers, regardless of room category, may ask to have their baby in their room (rooming in), if they wish to, in order to familiarize themselves with their baby’s care and breastfeeding, together with the midwives’ support. Excellent pediatricians are responsible for newborns’ initial evaluation and further follow-up right after birth with diagnostic and laboratory examinations and provide daily updates to mothers and the appropriate instructions about the first days with their babies. REA Maternity Gynecology Clinic offers plenty of services during pregnancy, like diet advice and psychological preparation of pregnant women for the baby to come and seminars on breastfeeding, care and safety for babies. Specialized psychologists provide consulting services and psychological support to pregnant women, in cases of postpartum depression, to couples that are in an assisted reproduction program, to parents with a preterm baby aiming to restore psychological connection between the mother and baby and to patients diagnosed with malignancies. With a well-trained support department and 24-hour help line we are able to provide assistance with breastfeeding and baby care and safety issues as well as psychological support services. All facilities and building infrastructures of the maternity clinic comply with the highest international standards. All our rooms (capacity of 180 beds) have modern furniture and are painted in happy colors, offering a pleasant and comfortable stay in a calm and caring environment that every woman and mother really needs. There is a bedside monitor (touch screen) for every patient providing information and entertainment (free internet access, TV, video), telephone service, personal messages service, midwife call, light and bed position control, payment, multimedia information (e.g. video on breastfeeding, baby care and safety after delivery) and other value added services.